How do you know if you need Sharepoint, SQL or Remote Desktop for your MS Access Database? This is one of the most common questions we get here at Access Hosting and it's not an easy one to answer since every customer's online functionality goals, Access application and development skills are different. In this blog post, I'm hoping to at least steer you in the right direction when it comes to getting your Access Database online. This is one of the first questions that you may be asked by one of our sales associates. The reason is that it can tell us a lot about your situation and road blocks moving forward. If you're running a Database in Access 2007 that has been around even longer, you're going to have a really hard time jumping to SharePoint. Does your MS Access application run Visual Basic code (VBA)? If it does you have a pretty complicated application that is completely incompatible with Sharepoint and web forms. The most common roadblock we see is Access Developers coming in with a complicated and highly customized Access Application. They've heard of SharePoint with Access Services, Web forms, Access 2013 Web Apps and Office 365 and they think they can easily move their application to the SharePoint cloud. Wrong! Both Access Services 2010 and Access Services 2013 have very strict requirements to make a database web compatible. If you have an older database or have VBA code, you have a lot of development work ahead and potentially a lot of functionality loss if you want to move to SharePoint. Cut down on the Development Work! These difficulties in moving your Access database to SharePoint are why Access Hosting expanded to offer other solutions for hosting web databases. If you're looking to host your complex access app in the browser and utilize all of your VBA forms, queries etc, Remote Desktop hosting is a great solution for you since it simulates the local Windows Desktop Environment that you have been using with your application AND allows for multiple concurrent users and the ability to connect to your Access application from any device. The best part is that you can leave your Access Application completely as it is and get it up and running on our private cloud in just a few minutes. We offer a free 30 day trial for anyone who wants to give it a spin and have very competitive dedicated plans that can be customized to your business needs. The downside to RDP hosting is that it can be expensive for a lot of users (especially if you don't move to a dedicated server where there are cost savings) since we are licensing Windows, Microsoft Office and MS Access for each and every user. 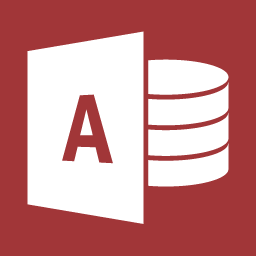 If you already have Microsoft Access installed on the computers of people that need access to your Access Application, you may just opt to move all of your data to our SQL hosting. For $49/month you can upload your database and have an unlimited number of Access users connect to the same backend SQL data. All of your client forms, reports and VBA code still work locally on the desktop but your data is synced to our service so that everyone is working from the same records. But I want Web Forms and a Web App! SharePoint is still a great solution for a lot of Access Apps and if you have a more modern database (Access 2010 or 2013) that is web compatible, it is easy to publish to SharePoint or start creating an Access 2013 web app. Deciding between Access Services 2010 and 2013 can be difficult though because you need to ask yourself what functionality is paramount to your application. Check back to our blog later to learn more about the differences between SharePoint 2010 Access Services and SharePoint 2013 Access Web Apps. Where can I find Access Development help? How to avoid conflicts without replica ID?